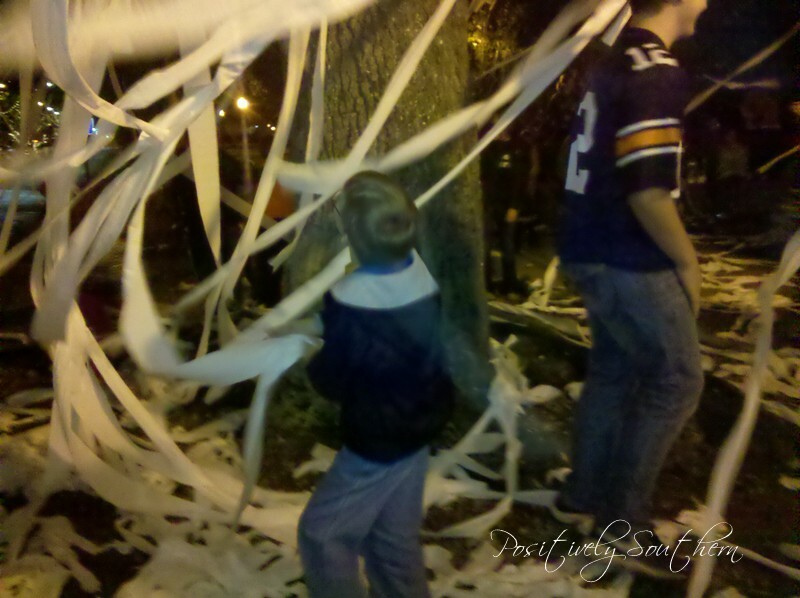 When I moved to Auburn in the 80's the tradition of rolling the Oaks at Toomer's Corner was of course a huge affair and if we beat Bama it was even better. The rivalry runs deeps here in our state and there have been many a hard feeling against life long friends when the other team wins. When the news broke that our beloved Oak Trees had been poisoned it was as if someone had just knocked the wind right out of you. Living here in Auburn, each day I drive right past the Oaks. Prior to the poisoning you could definitely see they were not in great shape, after all the trees were approximately 76 years old. 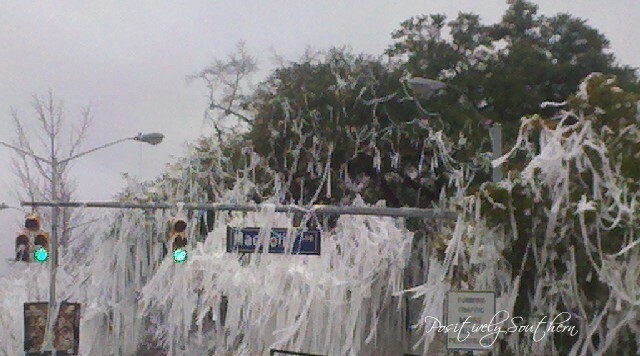 But to have someone deliberately do this to our trees in the name of college football was just unthinkable. It was sad to see those once glorious trees slowly give in to their fate. 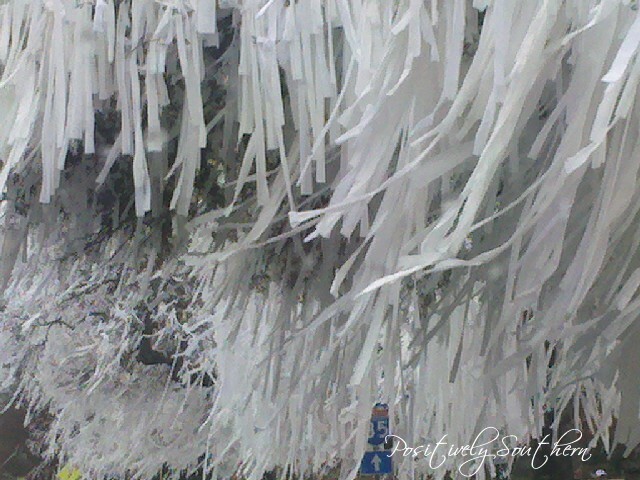 I'm glad that our children had the same opportunity that their Father did(he grew up in Auburn) to roll the trees. Mr. 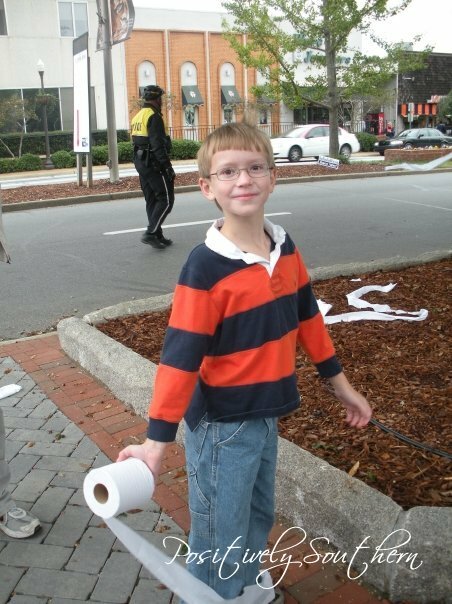 Positively recounts that as a child they didn't roll the actual trees, they rolled the power lines that crossed through Toomer's Corner. Last Saturday marked the end of an era, it was the last time those Oaks would be rolled in celebration of a football game. Record numbers came to say farewell to the Oaks....as we say in the South, we sent them out in style! Later than evening I brought our youngest back to Toomer's for a late evening goodbye of sorts, I'll just go ahead and say it....it was hard to let go. I didn't go downtown to see the Oaks removed on Tuesday. 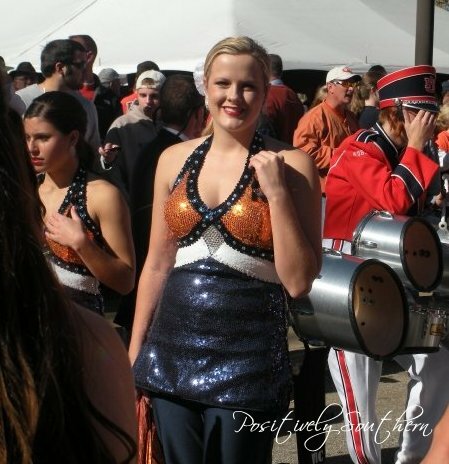 Instead I chose to remember them in their glory days of the win of the National Championship. 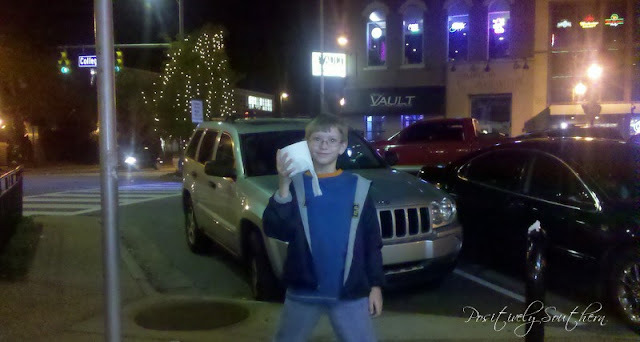 What a very cool tradition! Love all of your photos. So sad about the trees. It breaks my heart that someone deliberately poisoned them. I hope they somehow caught whoever was responsible. Suzy, thanks for your comment. It is sad to see their once home now empty. The man that poisoned the trees called in to a national radio show bragging about the fact he had poisoned them. This is actually how everyone learned the trees had been poisoned. He was arrested and is now in jail, serving a 3 year sentence. 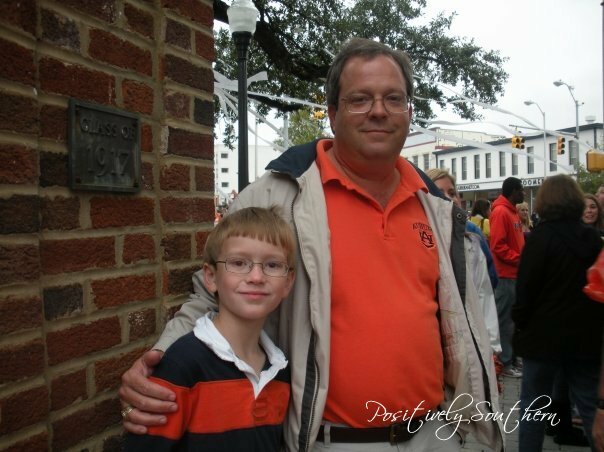 In the eyes of the Auburn family...that isn't nearly enough jail time!